The sun it was so red tonight, as the sky decided to turn out the lights, and it carried you and me into the night. 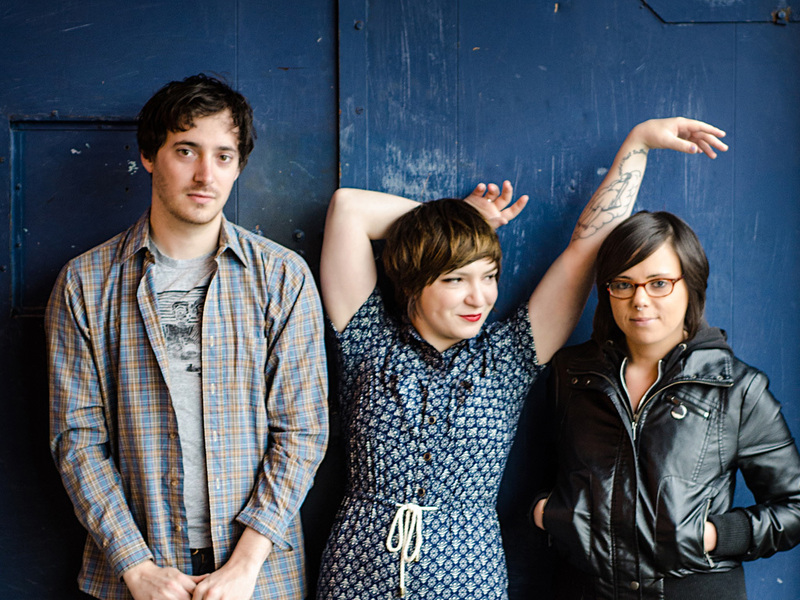 For the Seattle trio Cumulus, making music is more about impulse than ambition. Thus when Alexandra Niedzialkowski (vocals, guitar), Lance Umble (guitars, keyboards), and Leah Julius (bass), decided to record, mix, and master their first album, the idea of chasing after labels and waiting for one to pick them up wasn’t an avenue they had much faith or interest in. They turned instead to the close-knit community of friends and fellow artists around them, launching a kickstarter campaign to raise a small amount of money for a self-release. By some incredible coincidence however, their eventual path to its release would soon be aptly described by the debut album’s title, I Never Meant It To Be Like This. Forever singing to herself and collecting lyrics in scrap books while growing up, Niedzialkowski would truly begin to believe in her own strengths as a song writer and performer after encouragement from mentors at a Rock School summer camp she attended while in high school, and would mentor at herself in the years that followed. She began searching for female voices to look up to, and drew inspiration from the likes of Mirah, Kimya Dawson, and Pretty Girls Make Graves among others. It was during this time that she came to realize her idols were real people, and thus gained the confidence needed to perform her own material. “I could go to a show, and shake their hand, and tell them how much their music meant to me,” she recalls. Soon enough the final piece of the puzzle would fall into place for Cumulus when Julius, knowing the band was in need of a bassist, presented herself as one even though she had never played bass in her life. Julius did have experience paying guitar and drums in her own band Sundries, and to her the bass sounded like a compromise between the two. In Niedzialkowski and Umble, Julius found kindred spirits. “On a very basic level,” she relates, “music ties the three of us together as we have common interests and goals for our band, but we also enjoy spending time with each other outside of the band, which definitely brings about a family-like dynamic I haven’t always felt in other groups I’ve played in.” That synergy certainly lent it self to the creative process as well. Julius quickly picked up the parts, and with a rhythm section in place Cumulus were able to achieve the potential of the songs as louder, fully realized compositions. Friends, fans, and music writers in Seattle began to take notice, leading to local acclaim and steadily growing crowds.